NSLC cannabis customers have criticized the corporation's excessive packaging. But Jacob Boudreau has a plan to turn the waste into something unique. 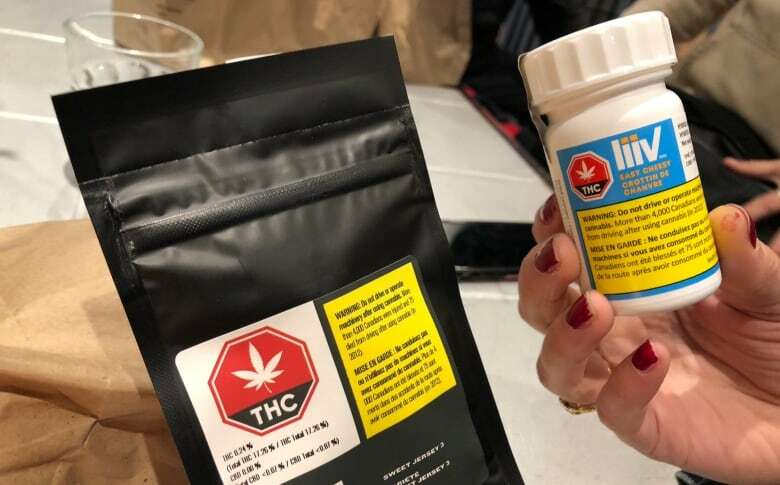 Since recreational marijuana became legal last week, some customers in Nova Scotia have criticized the province's legal distributor for excessive packaging. But one Halifax man is turning his complaint about the Nova Scotia Liquor Corporation's plastic packaging into action. "We just noticed that there was an obscene amount of waste," he told CBC Radio's Maritime Noon. "To me it seemed incredibly wasteful. It was actually frustrating for me as a consumer." 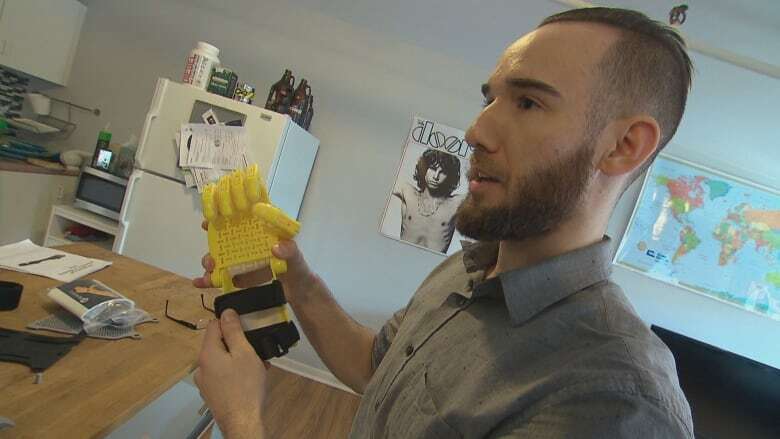 Boudreau is the founder of Kindness3D, a non-profit chapter of a global network called e-Nable that brings together 3D printer enthusiasts to manufacture prosthetic limbs. Kindness3D modified a paper shredder so it could break down plastic lids, then uses the shredded plastic in its 3D printer. Boudreau got the idea to incorporate the cannabis lids into his work when customers asked if he could help deal with the waste. "We jumped on board, noticing that there wasn't really a plan in place to deal with this kind of waste," he said. "It's something we're really excited about. 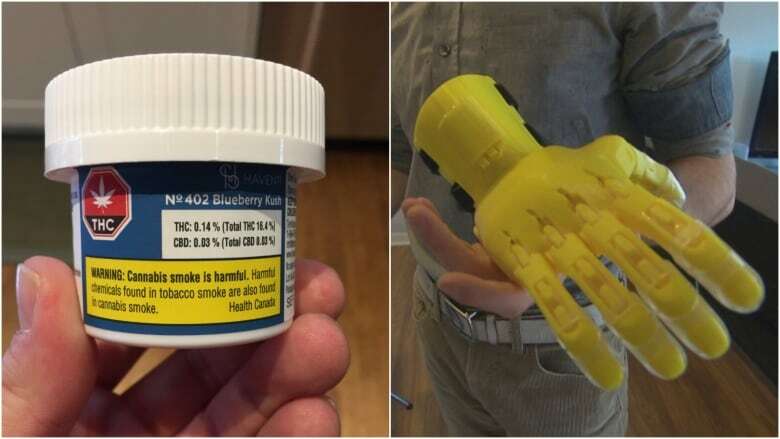 We're doing our part to kind of help out and as well repurpose this packaging and create some artificial limbs from it." The organization has enlisted the help of local businesses to collect plastic lids to use in the project. Boudreau has also started a petition to convince the NSLC to collect and donate used cannabis packaging to Kindness3D. NSLC spokesperson Beverley Ware said the corporation hasn't been contacted by Kindness3D, but asks customers to follow recycling programs in their communities. "We do not recycle bottle or cans and don't have the room in our stores to provide such a drop-off service or the infrastructure to deliver products for recycling," Ware said in an email. 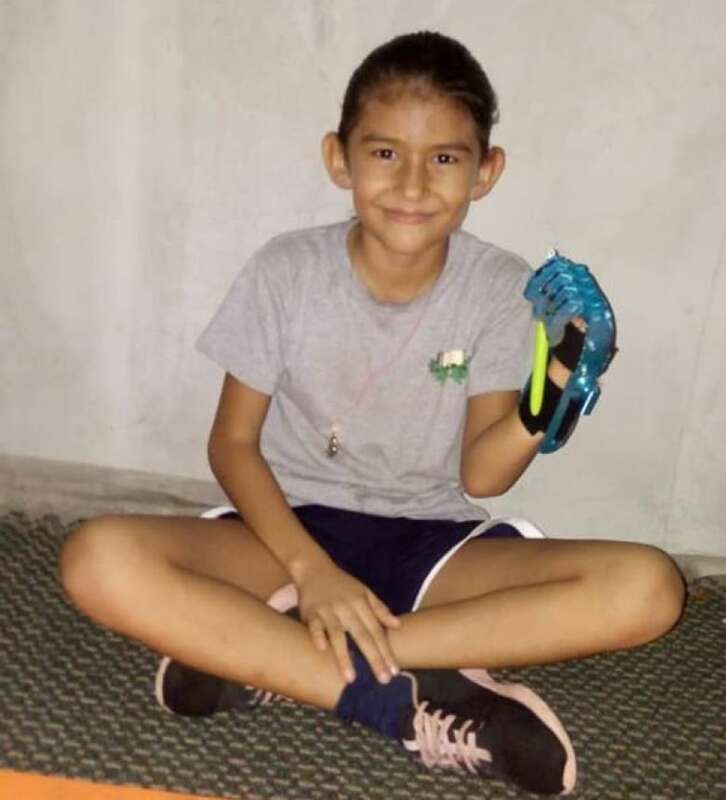 Kindness3D has already delivered a prosthetic hand to a girl in Costa Rica and a woman in Brazil. Boudreau told Maritime Noon he hopes to complete a prosthetic arm soon for a four-year-old girl in California.